Spires, Ashley. 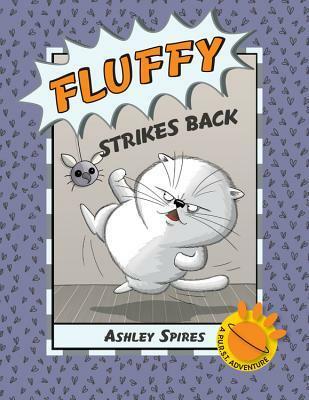 Fluffy Strikes Back. Kids Can Press, 2016. Fluffy is the head of P.U.R.S.T., a secret organization of pets who are protecting their humans from unwanted alien attacks. As the head of an international organization, he has a very important job, but he also doesn't get to go out in the field very often. When the invasion strikes home, will Fluffy be able to rescue the rest of P.U.R.S.T. and save the day? This is an adorable addition to the Binky the Space Cat universe, and a quick read as well. Kids who are struggling with reading or who have just learned and don't have a very big vocabulary will be able to fly through this book and enjoy the action-packed story as well.